We were all in the hall together. Chris from Zoolab introduced himself. 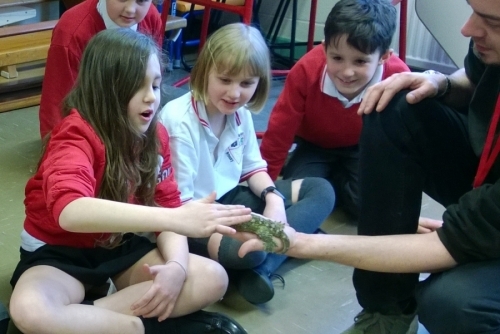 He told us he had travelled all over the world learning about animals. He said that if we wanted we could touch some animals but we had to keep our hands away from our mouths and then wash our hands. 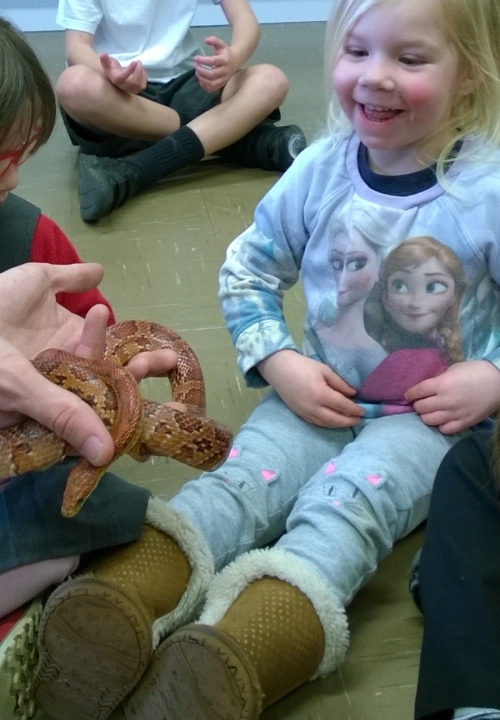 We met Colin the cornsnake. Chris showed us a huge snakeskin. Look at the pattern close up. 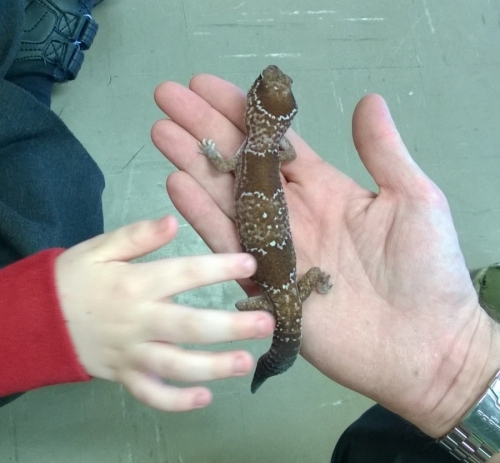 We met Minstrel the desert Gecko. George the tree frog stuck to the wall. .... and then we met Pickles the African hedgehog.